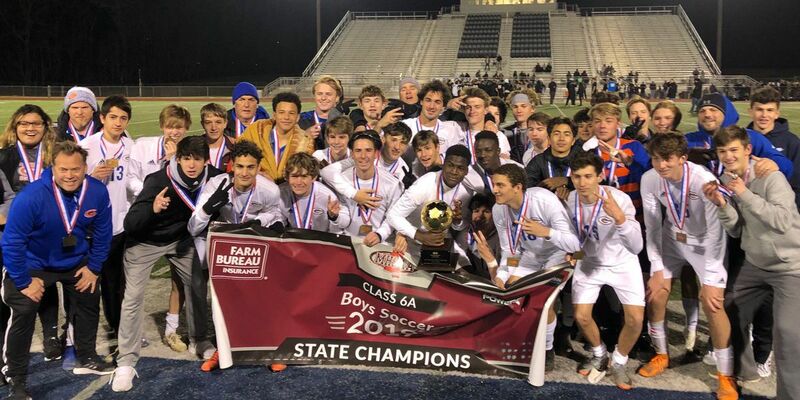 GULFPORT, MS (WLOX) - The Gulfport boys soccer team looked to defend their title against Northwest Rankin Saturday night. Early on, Gannon Key has a huge stop on a penalty kick to keep it scoreless at the half. In the second half, senior player Joseph Cumberland blasts one in the back of the net to give the admirals a 1-0 lead. Just 3 minutes later, Durron Myers tacks on another for a 2-0 lead with 30 minutes remaining. The Cougars score off an impressive goal 30 yards out, but it wouldn’t be enough. Gulfport goes back to back winning the 6A boys state championship. The final score 2-1.